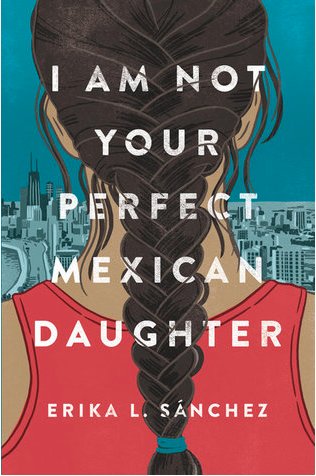 Summary: Olga was always the perfect Mexican daughter--she never stayed out, she lived at home and worked a receptionist job while attending classes, and she never talked back to her mother. Was... because Olga died in a tragic accident. And Julia, the younger Reyes sister, who always gets in trouble, who always mouths off, who never gets along with their mother, who wants more in life than to just be a docile wife to some man, is left to pick up the pieces. But Julia discovers something about Olga that leads her to believe that Olga may not have been quite so "perfect." And as she tries to investigate further, she also has to learn to navigate her forever-troubled, ever-worsening relationship with her mother, her own post-high school plans, and her sense of self as she finds her life rapidly changing. Thoughts: In my previous book review, I called The Hate U Give to To Kill a Mockingbird, and now I find myself having a hard time NOT comparing this book in some way to The House on Mango Street. There are a lot of similarities, but the main difference I would note is that while Esperanza was childlike and quite innocent, Julia is foul-mouthed, angry, and not always likeable. (That's not a criticism of her or the writing; it's a characterization.) Indeed, there were so many times when I really felt like just DNFing this book because sometimes I just didn't like Julia, but I really did want to know what was up with Olga. So I pressed on. 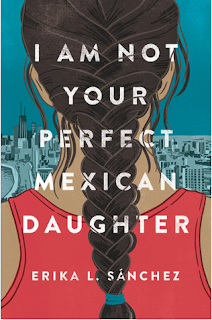 And I was glad I did, because the book ended up being about so much more than Julia, Olga, and their mother--it was a statement about cultural differences, generational differences, and class differences. It was a story of writing your way out. It was a story of recognizing that every person has different levels of complexity, and of how you might see or speak to someone every day of your life without ever really knowing who they are. If you can get through the first third of the book, which feels like a lot of teenage complaining, you will be rewarded with a much deeper, more emotionally complex story that is absolutely worth taking the time to read.